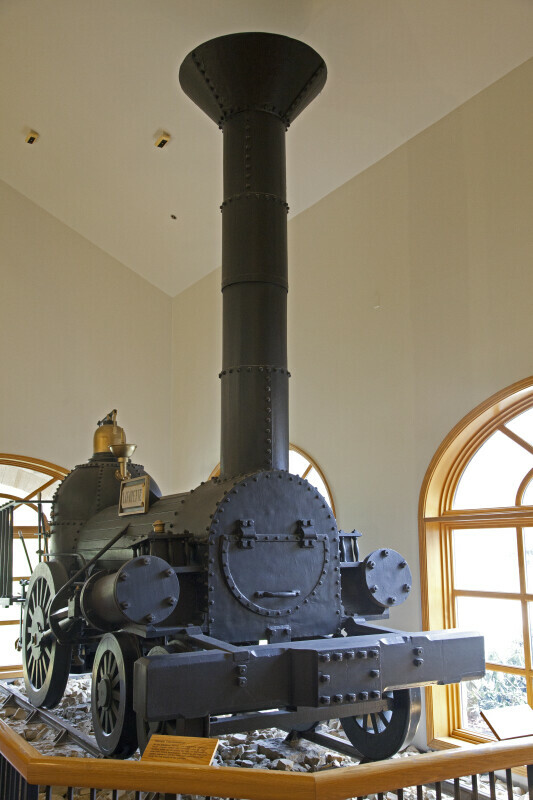 This is the front of a steam-powered locomotive engine. There is a smokestack on this end. The front of the engine is supported by two pairs of wheels. There is a hinged door on the front of the engine. This visitor center is listed on the National Register of Historic Places, as part of the Allegheny Portage Railroad National Historic Site.